In his recent interview on 60 Minutes which aired on Sunday night, Tesla CEO Elon Musk said that the company would consider purchasing idled GM plants. Musk also touched on a number of topics, including his lack of respect for the SEC. In his interview on 60 Minutes, Elon Musk said Tesla could buy plants which General Motors may idle. "It's possible that we would be interested. 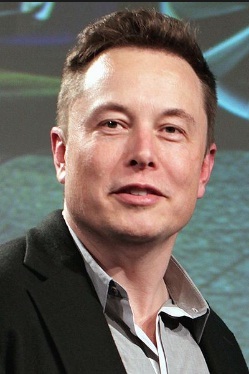 If they were going to sell a plant or not use it that we would take it over," Musk said. GM has decided to slash production at several plants and lay off 14,000 employees as it grapples with changing market dynamics, including new technology and increase in competition from new entrants, such as Tesla. Tesla’s Fremont, California facility was also previously owned by GM until 2010. Although Musk acknowledged that he was “somewhat impulsive,” he offered no apologies for his erratic behavior and talked about his lack of respect for the Securities and Exchange Commission. "I want to be clear: I do not respect the SEC," Musk said. "I do not respect them." But Musk said he respected the US justice system and would comply with the agreement. The SEC sued Musk three months ago after the CEO claimed in a tweet that he wanted to take Tesla private at $420 per share and that he had secured the necessary funding. Musk later backtracked on those plans. He was subsequently forced to step down from the role of the chairman of the board for at least three years and was fined $20 million. The company named board member Robyn Denholm as the new chairwoman. Tesla also put a mechanism in place to monitor its former chairman’s tweets, blogs, and all other public statements.